I feel like I’ve been getting so many new followers over the past few months, but I’ve said very little by way of introduction. I’m Nari, a librarian in the Bay Area. I’ve lived in California pretty much my entire life. I’ve been an avid reader since I was a little kid. I was in 1st grade when the public librarian came to my elementary school to do a song and dance assembly about the library. That same weekend, I dragged my parents to the library to get my first library card. My life hasn’t been the same since. I’ve been a librarian since 2008, alternating between children’s librarian and generalist librarian. I do weekly storytimes at my library for the baby/toddler range. But I mostly read books for adults, as you’ve seen here, and I’m in charge of monitoring the adult fiction collection at my library. I love my job. Its not even a job. I just love what I do everyday when I walk through the library walls. This is a fun little survey that I picked up from I’m Lost in Books, who picked it up from Florinda, who got it from Suey’s blog. The chain just keeps going. Usually on the left-side corner of my couch. Its the spot closest to the coffee table where I keep my coffee and various snacks while I read. I can stop reading, but I need a specific marker, like the last sentence on the page. I get into trouble if the sentence goes onto the next page…Hm, maybe I can’t stop reading at will after all. I usually do my reading during my lunch hour, so yes. Food and drinks abound during reading time. I see no reason to split the two up. Some books go wonderfully with cakes and pastries. At home, I like to have the TV on quietly as background noise. At work, I like to read in complete silence out at the nearest park. No music though unless its classic or instrumental. The melody messes with the pace of the books for me. 6. Do you read one book at a time or several at once? I’ll start many books at the same time. Then usually read just one or two at a time and return the rest that didn’t keep a grip on my attention. 7. 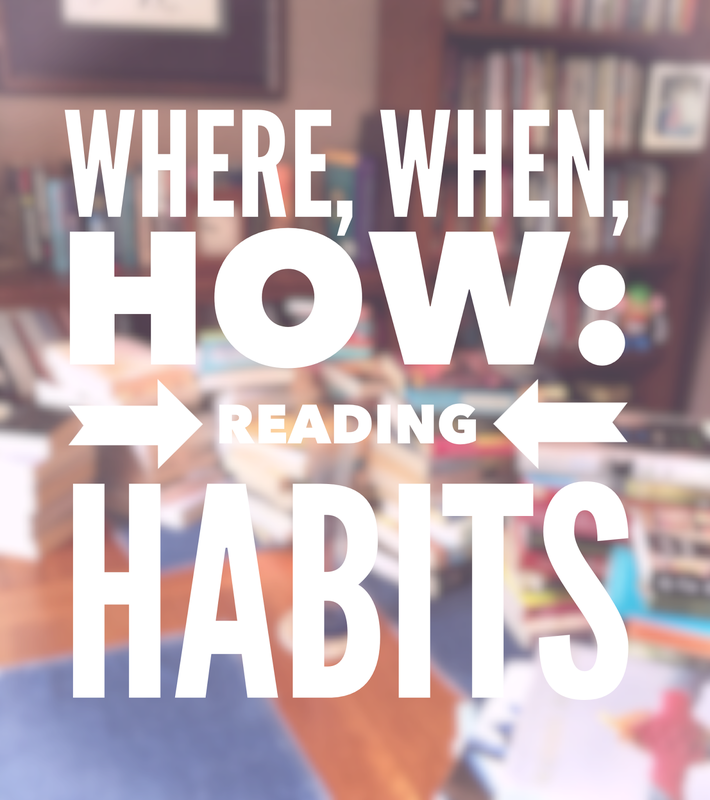 Do you prefer to read at home or anywhere? I like reading on trains and planes the best. But I can mostly read anywhere. If I read at home, its during the day. If I try to read after I get home from work, then all I’m reading is Tumblr. I can usually sneak in a few pages right before I go to bed though. 8. Do you read out loud or silently? Silently. I do laugh out loud at the funny parts. I skim paragraphs that drone on and on, but I don’t skip pages or jump ahead. 10. Do you break the spine or keep it like new? My motto is that a well-read book is a well-used book. A book that’s gone with me everywhere and has experiences life with me, albeit all through my purse. My books are hardly in pristine condition, and I don’t care to keep them as such. I don’t mind bent spines or dog-eared pages. I hate rips and stains though. Not since I graduated college. If I didn’t write notes in the books, I’d never know what to refer back to for an essay assignment. I don’t anymore, because 90% of the books I read come from the library. I do wish I had a consistent way to track my thoughts though. They seem to float away once I finish a book. Thanks for listening to me ramble! Please send me a link if you fill out this survey! I’d love to know more about you all. This entry was posted in Books and tagged get to know me, reading survey. Bookmark the permalink.